INTHE PREFACE to their best seller Free to Choose, Milton and Rose Friedman write, “We are still free as a people to choose whether we shall continue speeding down the ‘road to serfdom,’ as Friedrich Hayek entitled his profound and influential book …. ” Since Hayek’s book was published 40 years ago, it would seem that we have been “speeding” down that road at a remarkably sedate pace. I must confess that praise like the Friedmans’ put me off reading The Road to Serfdom until now. That was a mistake. Hayek is well worth reading, both for what he says and for what he doesn’t say. Looking first at the latter, we find that he is far from advocating the sort of libertarian – that is, practically nonexistent state the Friedmans envisage. The Friedmans share with Marx a longing for the state to wither away, but Hayek is having none of that; he merely wants the state to act responsibly. He is, for example, willing to consider “restricting the allowed methods of production, so long as these restrictions affect all potential producers equally and are not used as an indirect way of controlling prices and quantities …. ” He also believes that “To prohibit the use of certain poisonous substances or to require special precautions in their use, to limit working hours or to require certain sanitary arrangements, is fully compatible with the preservation of competition.” Hayek would thus not be sympathetic with the notion, advanced by both neoliberals and neoconservatives, that factories should be allowed to pollute as they please, so long as they pay a fee for the privilege. 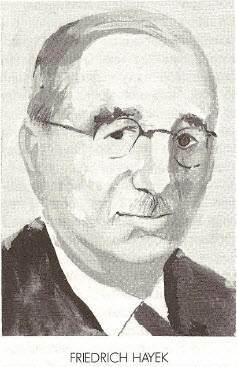 I have quoted Hayek extensively because his reputation is that of an extreme, devil-may-care, laissez-faire conservative. His book was actually greeted with qualified praise by Keynes, as Robert Heilbroner tells us in The Worldly Philosophers; but endorsements like the Friedmans’ have established his reactionary” image.” Much of Hayek’s later work, however (e.g., his attack on John Kenneth Galbraith; see” Rereading Galbraith,” NL, June 13,1983), does exhibit a hardening conservatism. This is not, I think, an instance of the notorious syndrome whereby flaming youths turn into reactionary elders (“When old age came over them / With all its aches and qualms, / King Solomon wrote the Proverbs / And King David wrote the Psalms”). Rather, it is an instance of a common, albeit little noticed, progression whereby a great leader becomes misled by his followers. The change is not always in a conservative direction. Marx became more violent and conspiratorial at least in part because his most vocal supporters were conspiratorial. John Dewey, whose Human Nature and Conduct showed strong elements of philosophical idealism, became famous for the contrary theory of instrumentalism that appealed to his admirers. I have also seen such changes occur at less rarefied levels. One of the most delightful books I ever published was Little Britches (I was never good at titles) by Ralph Moody. It was the first of several memoirs of family life. No one reading the series would guess Little Britches was begun as a polemic against the Social Security system. But Ralph’s readers – starting with those in an extension writing course in Berkeley-praised him for the warmth of his characterizations, and he became more interested in people and less in abstract theory. 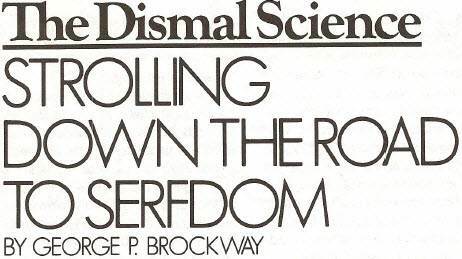 THERE ARE other interesting themes in The Road to Serfdom. One of these appears in his analysis of the failure of the Social Democrats to stop Hitler. We have heard much of the trahison of the Communists; but Hayek argues that the socialist emphasis on comprehensive planning predisposed the German electorate in favor of grandiose schemes like Hitler’s. If he is right, this fact should give pause to our Atari Democrats, who want to set up a committee to decide which industries we should foster and which we should abandon and in general to plan how to use our resources. As Robert Lekachman has pointed out, such committees are more likely to be run by big business than by idealistic planners. The Social Democrats were further weakened, Hayek says, by a split that appeared in the labor movement. For various reasons, certain unions and certain categories of workers were able to achieve remarkable economic gains, while others were left far behind. The laggers were understandably disillusioned about the Social Democrats and became ready to acquiesce in, if not support, the National Socialist program. This is a problem that American labor leaders have yet to solve. The split in our labor movement was opened, as I suggested last year (“Voodoo on the Primary Trail,” NL, April 30, 1984) by the Vietnam War. But it has been astutely widened by apologists for big business and by the just- folks demeanor of President Reagan, and deepened by the misguided anti-labor Presidential campaign of Gary Hart. Another theme of current interest in Hayek’s book is his concern over the tendency of legislatures to turn hard questions over to independent public authorities. I suppose he would therefore welcome a good deal of the current deregulation, but he would appear not to have been a knee-jerk deregulator. Hayek’s concern is also a central topic in Theodore J. Lowi‘s widely read The End of Liberalism. Both men describe the irresponsibility that results from the delegation of undefined powers. Hayek emphasizes the dictatorial arrogance that ensues; Lowi notes (as does Lekachman in the comment cited above) that ill defined regulatory commissions tend to be co-opted by the industries they regulate. A different example of irresponsible delegation is the willingness of Congress to give the President power to commit military forces to action, and indeed to launch a nuclear strike, without carefully defining limits to that power. In the same way, control over our money, and hence over our economy as a whole, has been surrendered to the Federal Reserve Board. I regret to have to admit that three Democratic Presidents played crucial roles in the surrender: Woodrow Wilson, who admitted he knew nothing about banking, signed the Federal Reserve Act. Harry Truman allowed his Secretary of the Treasury to dissolve the agreement with the Federal Reserve that had held the prime interest rate down to 1.5 per cent during the War. Jimmy Carter appointed Paul Volcker chairman of the Fed. How all this came about is told in fascinating and chilling detail by F.W. 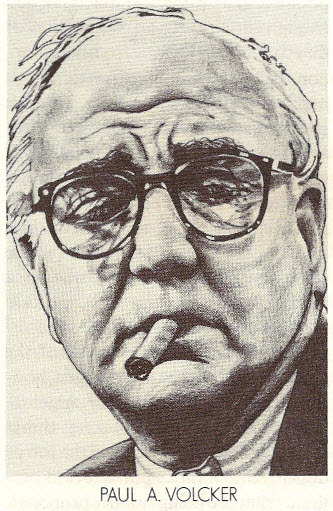 Maisel in a little book entitled Great American Ripoff (Condido Press, Box27551,San Diego 92128). Maisel may upset the sensitive by his espousal of a conspiracy theory of American banking; nevertheless, it’s hard to fault his facts, and I’m not even prepared to say he’s wrong about the conspiracy. Should you feel that the bankers running the Federal Reserve, far from being conspirators, are idealistic public servants who have, in Hayek’s phrase, “devoted their lives to a single task,” there is still reason to be wary of them, for “From the saintly and single-minded idealist to the fanatic is often but a step.” Single-minded conservatives please copy. 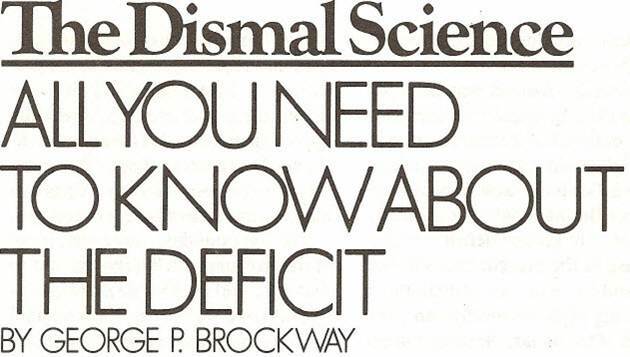 NOW, about that deficit: Ronald Reagan was quite correct, during the first Presidential debate, in insisting that there is no connection between the deficit and the interest rate. If he had been more precise, he would have said that there is no invariant connection between the two. Walter Mondale, too, was quite correct in insisting that the deficit presents a threat to the economy, to the nation and to the peace of the world, although again there is no invariant connection. There are, in fact, few (if any) invariant connections in economics, but it would be lèse majesté to expect Mr. Reagan or Mr. Mondale to understand that, especially since most economists don’t either. There are few (if any) invariant connections in economics, because every economics question has to do with money. As I said in this space last time (” ‘Trust Funds,”’ NL, October 15), without money you have physiology and engineering and so on (all necessary parts of our life), but you don’t have economics (also a part of life, like it or not). 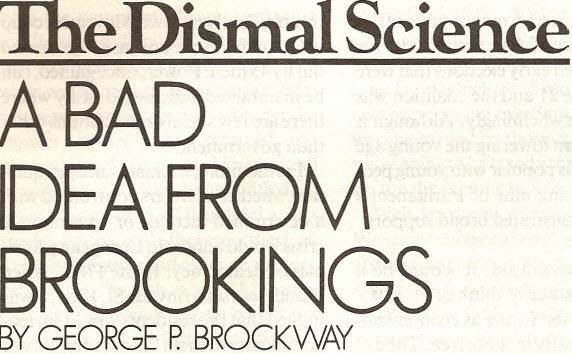 And as I said here two and a half years ago (“Let’s Put Indexing on the Index,” NL, April 5, 1982), there is no invariant connection between any good or service and money. The mere fact of inflation is enough to settle that question, even if there were not sound metaphysical considerations (which you may not take so seriously as I do) on the same side. So we seem to have a dilemma. Reagan and Mondale are both right, and they’re both wrong. At the root of the dilemma is money – well known to be at the bottom of much else. At the root of money is the banking system, and in the United States the Federal Reserve Board is at the root of the banking system. Since neither Reagan nor Mondale dared or cared to mention the Federal Reserve Board, there was an air of irrelevance to their debate. Before digging to the root of the matter, let’s consider the causes for and the effects of the exponential surge in the deficit. The principal causes are not in dispute: a tremendous increase in military spending, the vast and varied tax cuts of 1981 and the high interest rates. Of these, the military spending had a positive effect on the business recovery, the tax cuts were neutral and the interest rates were negative. Military hardware likewise does not “serve the needs of many by being consumed,” so it can be added to forever. And like pyramid building it increases aggregate demand. Demand is what stimulates business activity. Businesses produce things if they foresee a demand for them. Any expenditure is stimulative, yet government expenditure, being both large and highly visible, is especially stimulative. As Keynes suggests, building housing would be as stimulative as building pyramids or armaments. Or as John Ruskin (a better economist than you may have realized) exclaims, “What an absurd idea it seems, put fairly in words, that the wealth of the capitalists of civilized nations should ever come to support literature instead of war!” It would, in short, not be difficult to conjure up better uses for our money, and hence better ways of stimulating the economy; nonetheless, the military build-up-foolishness, highmindedness, viciousness, waste, and all – has in fact been the motive power behind the recent business recovery. The tax cuts were, as I say, essentially neutral. If you wisely keep a file of THE NEW LEADER, you will find the reasons set forth in the issue of March 8, 1982 (“Why Deficits Matter”). For those who can’t lay their hands on back issues, I’ll summarize the reasons briefly. The tax cuts were, you will remember, intended to stimulate the supply side, on the theory that saving is the cause of investment. The theory is fallacious. Not even Representative Jack Kemp (R.- N. Y.) can imagine that the industrial half of President Eisenhower’s Military – Industrial Complex would build a factory to produce cruise missiles before the military half placed an order. The supply-side theory turned out to be fallacious in still another way. In accordance with its logic, the 1981 personal income tax favored the rich, and the corporate tax favored the prosperous, the hope being that those who didn’t need the money would save it. This hope was disappointed, and for a simple reason. Since the Federal budget was already in deficit, the tax cuts necessarily increased that deficit. The increased deficit had to be funded; that is, bonds to cover it had to be sold. To whom were they sold? To those who had money to pay for them, of course, and they were, in general, the people who had benefited from the tax cuts. The upshot was that the rich and prosperous were given money to buy government bonds. In effect, they were given the bonds. The maneuver accomplished as extraordinary a transfer of wealth – albeit to the wealthy – as America has seen. The third factor in the deficit, the high interest rates, was of course a drag on the business recovery. Mind-boggling though the fact is, this was intended to be a drag. The idiocy of the intention is not, however, what interests me at the moment. It is the effectiveness of the intention that gets to the root of the matter, for the policies of the Federal Reserve Board are thus demonstrated to be not irrelevant. Empirically, Reagan was perfectly right. In 1980 the deficit was much lower than today’s, but the interest rate was much higher. How, then, can one claim that the deficit is the cause of high interest rates? But Mondale was perfectly right, too. The present deficit is indeed the cause of the present high interest rates, and these in turn contribute to continuing high unemployment, the strength of the dollar, the decline in exports, and the increasing trade gap. The reason why the deficit is the cause of high interest rates is very simple: The Federal Reserve Board says it is. On this subject Board Chairman Paul A. Volcker is a cracked record, going around and around, saying the same thing endlessly. To be sure, it is not literally what the Federal Reserve Board says that is of consequence. Persuasive though he is, Volcker does not run the rates up or down simply by jawboning. His speeches have an impact on the rates only to the extent that they are taken as hints of what the Board will do. It is what the Board does that matters. For the Board controls the rates, partly by setting the rediscount rate, partly by determining margin requirements, and mainly by controlling the money supply. Money earns interest in rough proportion to its scarcity, and for a third of a century now the Federal Reserve has been making money scarcer and scarcer. It has been doing this under the misapprehension that it was thereby containing inflation. It obviously wasn’t. The record is clear here, but that is another story. WHETHER THE deficit causes the high interest rates directly by scaring Wall Street or indirectly by scaring the Federal Reserve Board, there is no doubt that the high rates increase the deficit. The bonds that were sold to finance the 1981 tax cuts and are now sold to finance the deficit offer a fantastic return -12 to 14 per cent or more. I have some that will pay me 14 per cent yearly until November 15, 2011. I should live so long. The interest payable on the Federal debt is an incubus of daunting weight that will smother the economy for generations to come. Even now, as Senator Daniel P. Moynihan (D.-N.Y.) has shown, the annual interest payments are approximately equal to the annual deficit, and the compounding of that interest will more than offset any savings that might be made elsewhere in the budget. The compounding, moreover, is not of the ordinary sort. Thirty-year bonds that were sold in 1954, paying an average rate of 2.4 per cent, must be paid off today with money raised by selling bonds paying more than five times the old rate. Look at this another way: If the old rates were still in force, the deficit would be less than one fifth of what it is. Continuing the observation, we see that the world according to Volcker is upside down. He says it would be fine to have low interest rates, if only the deficit could be reduced to manageable size. But the deficit would have been manageable if the Federal Reserve Board had kept interest rates low. The interest rates have no life of their own, any more than the deficit has. Even on Volcker’s theory, it would appear that high interest rates swelled the deficit, and not the other way around. As things are, the only way to reduce the deficit-the Federal Reserve Board’s price for lowering the interest rates is to raise taxes. That is what Mondale promised to do. 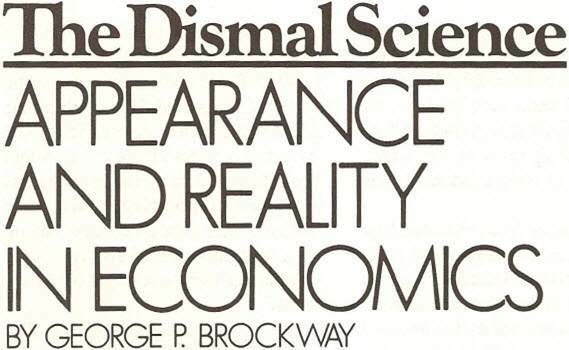 But Reagan (good Keynesian malgré lui) said raising taxes threatens to send the economy into a new depression, because increased taxes mean a reduction in aggregate demand, and a reduction in demand is followed by a depression as surely as an increase in demand is followed by a boom. This dilemma could have been avoided if the tax cuts had gone to those who would spend them. It could have been avoided if the Treasury and the Federal Reserve Board had cooperated in holding down the interest rates, as they did during World War II. As it happened, both fiscal and monetary policies were fatefully misdirected. If the President does not look good in the history books, the reason may be that he did not have the wit – and we did not give him the power – to beat some sense into the Federal Reserve Board. A COUPLE of months ago I had occasion to mention Gary Hart’s search for “a better title” for the radically new form of taxation he referred to as an “expenditure tax” or a “consumption tax”. (“Voodoo on the Primary Trail,” NL, April 20). Well, the Brookings Institution (described by the New York Times as” a liberal think tank”) has solved Hart’s problem. In a long pamphlet entitled “Economic Choices 1984,“ the scheme is called a “cash flow tax.” If it is adopted, the person who thought up the new name will be as much to blame as anyone. The Brookings pamphlet, edited by Alice M. Rivlin, distinguished former director of the Congressional Budget Office, concerns many issues besides taxation. Parts of it remind one of Claude Rains’ line at the end of Casablanca: “Major Strasser has been shot. Round up the usual suspects.” In the opening sentence of the opening chapter we learn that “High deficits in the Federal budget, together with high interest rates, are endangering the future growth of the U.S. economy and undermining the ability of American industry to compete in world markets.” Following this, we are told that fiscal policy and monetary policy are at cross purposes, that Medicaid and Medicare cost more than expected, that many a father shirks his responsibilities to his children and their mother, that the B-1 bomber, the MX missile and various flocks of airplanes and schools of warships are a waste of money. Now, I am persuaded that all of these suspects are guilty as charged, and I have no doubt that the list could be considerably extended. But none of this is news, as the cash flow tax is purported to be. The first thing to note about the Brookings statement of this tax is a disclaimer. 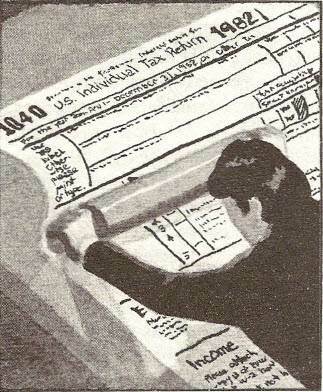 “It does not,” the authors say, “propose any shifts in the tax burden among economic classes.” And a complementary proviso declares that if the scheme should prove to be heavier on corporations than the present law, rates would be revised to restore the “balance.” You will remember that similar disclaimers and provisos are included in the plan put forward by Senator Bill Bradley (D.- N.J.) and Representative Richard A. Gephardt (D.-Mo.) (“A Cautionary Tale of Tax Reform,” NL, January 23). You may also have noticed that when the Reaganites undertook to remake the tax laws they had no compunction whatever about shifting the burden from the rich to the poor or reducing the share paid by corporations (the corporate share had already declined from 26.5 per cent in 1950 to 12.4 per cent in 1980; it is now less than 10 per cent). On the basis of the foregoing I propose a new law of political science: In any confrontation between neoconservatives and neoliberals, the neoconservatives will always win, because the neoliberals will allow them to keep whatever they have previously gained, regardless of when or how they gained it. It would not be difficult to convince me that the neoliberals have their priorities precisely wrong. As John Maynard Keynes said, “The outstanding faults of the economic society in which we live are its failure to provide for full employment and its arbitrary and inequitable distribution of wealth and incomes.” I hold these truths to be self-evident, and I therefore hold that the first test of any tax law is whether it contributes to the rectification of these faults. 1. Those seductively low rates are achieved, not because of the miraculous properties of the cash flow tax, but because none of the deductions – other taxes paid, charitable donations, interest paid, and the rest-would be allowed. If an income tax were similarly astringent (I’ d be in favor of that) it could achieve still lower rates, for it would not have made that massive deduction for saving. 2. Since the paperwork necessary to complete a cash flow tax return would hardly be much less than that for the present return, the new tax would not be substantially more “efficient” than the existing one. Indeed, if the present tax eliminated deductions and the special treatment for depreciation and capital gains, the return would be a piece of cake for almost everyone, like the present Form 1040A. 3. The switchover from an income tax to a consumption or cash flow tax would present horrendous problems. I’ll take a little space to explain one that is near and dear to my heart: What do you do about recently retired individuals like David Rockefeller, Walter Wriston and me? For the rest of our lives we’re going to be dissavers. We got taxed on the salaries from which we saved to make our nest eggs; we got taxed on much of the income earned by those eggs; and now we’re going to be taxed a third time when we use the income to live on. Well, you know what would happen. We senior citizens are not so easy to kick around anymore. We belong to the American Association of Retired Persons and the Grey Panthers and such. We have the clout to insert a little provision in the law to the effect that those who have to be dissavers because they have no other income would not be taxed. This would only be fair. After all, if David Rockefeller, Walter Wriston and I don’t spend our income, we don’t live. But for you poor slobs who still work for a living the rates would have to go up. The Brookings people are aware of this difficulty, and they have a solution whereby “each household could calculate the aggregate cost of all assets accumulated from savings out of previously taxed income (‘basis’ in current tax law) and claim an exemption spread over a number of years for consumption until the aggregate cost had been recovered tax free.” Messrs. Rockefeller and Wriston might be able to live with that, too, because they have probably had accountants working for them night and day all their lives. The rest of us, who can read the words of the “solution” but are not even quite sure what they mean, and who certainly do not have meticulous records stretching over 65 years and more, might wonder what happened to the advertised simplicity of the new tax. WHY DO THE Brookings people want to make what would be a fantastically complicated change? They have two principal reasons, both ideological. First, they have got hold of the notion that the trouble with the American economy is a lack of saving. But their own figures show that private saving (both individual and corporate), as a percentage of GNP, was 16.2 per cent in the 1950s and 16.3 per cent in the 1960s. True, these were the allegedly prosperous years. Yet in the 1970s, when things are supposed to have fallen apart, the rate was 17.1 per cent; and it is projected, under the existing law, to rise to 17.5 per cent in 1986-89. Given the inherent imprecision of these figures, they are nothing to bet your life or livelihood on. Nevertheless, one thing is certain about them: They do not support the view that the economy has been in trouble because of a lack of private saving. And of course everyone knows that the current recovery has been led by consumption, not by saving. The other ideological notion is that the ideal economy would be one without taxes, and that the cash flow tax is similarly” neutral.” This is nonsense. It is doubtful that a state of nature would be ideal for anyone; but there is no doubt that a civilized state must have taxes, that just taxes are levied in accordance with ability to pay, and that ability to pay turns on income and wealth, not on savings. There are many other things to be said about consumption taxes and consumption-like taxes. For further information I refer you, as I have before, to Robert S. McIntyre of Citizens for Tax Justice, 2020 K St. NW, Suite 200, Washington, D.C. 20006. 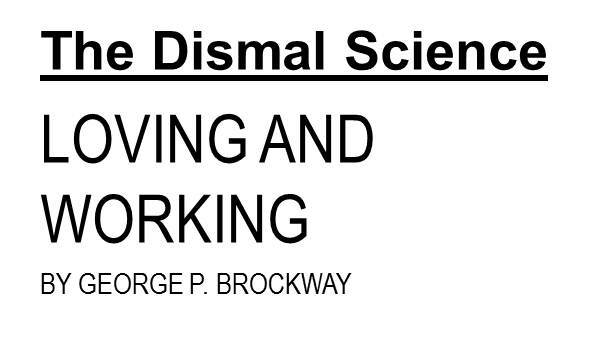 Here I want to conclude with a reference to a table in the Brookings pamphlet, whose burden, as I mentioned at the outset, is that the deficit is going to destroy the economy unless we do something drastic in a hurry. With that in mind, let’s look at Table 2-4. The first line of this table shows “Projected surplus or deficit under policies in effect January 1, 1981” (that is, when President Reagan took office), and the last line shows the projections “under policies in effect January 1, 1984.” The projection for 1989 on the first line is a surplus of $29 billion, while that on the last line is the now-familiar deficit of $308 billion. Remember those figures when President Reagan tries to tell you that the deficit was caused by Democratic spending. He can, if he wants, blame the recession on Federal Reserve Board Chairman Paul Volcker. The deficit, however, is Reagan’s very own. SEVERAL Sundays ago the New York Times business section had one of its recurring roundups of professional opinion on productivity. This is a live issue because publicists and politicians keep it alive. President Reagan and his retiring, but not bashful, chief economic adviser, Martin Feldstein, never tire of talking about it. The Atari Democrats also fancy the issue, though they began keeping their heads down once their advisee, Gary Hart, became a serious candidate for the party’s Presidential nomination. At least two White House commissions are supposed to have been working on the question for the past two or three years (no one knows the results, if any). Innumerable editorials have been written on it, and not a few books. Yet the whole debate is an elaborate scam, because what is presented as a value-free examination by sober social scientists is actually a struggle over the distribution of the national income. Some (maybe most) of those perpetrating the scam may know not what they do. It is a scam, nevertheless. As pseudo-science, the argument goes like this: Of the various factors of production, labor is the largest. Employees’ compensation-wages, salaries, bonuses, fringe benefits-comes to about two-thirds of the Gross National Product. That being so, it would seem plausible to take this largest factor as an index of the efficiency of the whole. As the Times puts it, “A worker who produces 100 widgets an hour, for example, is clearly more productive than a worker who produces only 50 widgets an hour. ” There are many sleepers in the seemingly innocent example and the Times isaware of some of them: “the machines that are used, the worker’s education or skill, advances in technology, the working environment.” The worker can be praised or blamed for few of the items in this little list; most are someone else’s doing. That fact is not noticed by the judgmental types who complain that people don’t work as hard as they used to. 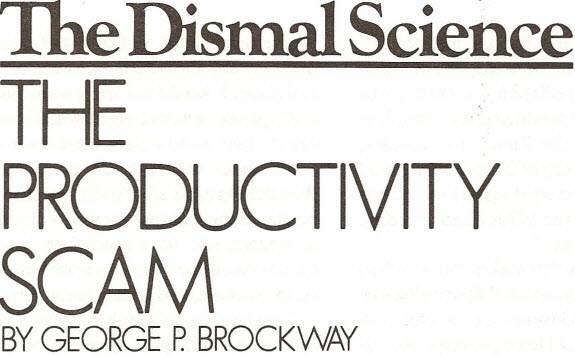 But the trouble with the Productivity Index starts with the GNP itself (see “Sinking by the Numbers,”NL, May2, 1983). The GNP has nothing to do with widgets, or with shoes or ships or sealing wax. The reason for this is obvious enough: You can’t add shoes and ships and sealing wax and widgets, any more than you can add apples and pears. All you can add is the prices of the widgets and shoes and so on, and you get a result in dollars that depends as much on the prices of widgets and shoes as on the numbers of widgets and shoes. This is true for the economy as a whole, and it is true for the firms that make it up. Even the rare company that makes widgets alone judges its productivity in numbers of dollars rather than numbers of widgets. If it manufactures 100 widgets and can sell only 50, the remaining 50 are not products but waste. Companies that deal in a variety of products have no choice except to measure their total output in dollars. Nor is this procedure necessary only in market economies. In the purest communism of our time, the brief reign of the Gang of Four in China, several streets in Shanghai were lined with thousands of boilers quietly rusting under the plane trees. Somebody had built them and no doubt got a commendation for exceeding his quota, but there was no use for them. They were waste, not products, and (if they’re not still there) they had eventually to be broken up for scrap. The next difficulty with the GNP is as I argued last year – what it includes and what it excludes. The Times article provides a good example of the mischief that results. “Increased regulation,” says the Times, “aimed at such things as clean air and water and increased safety in the workplace . . . absorbed management time and business resources in the ’70s. Now that the pace of new regulation has slowed, if not reversed, business will be freer to concentrate its money and effort on other things, such as productivity. “You’ve heard so much of this kind of talk that you may not be immediately struck by how fatuous it is. If you will read the passage again, you will notice the unstated (and unstatable) assumption that clean air and water and increased safety are worthless in comparison with more widgets or cheaper widgets or anything at all (a widget being the ultimate nondescript object). Well, there may be some things more important than clean air, but a widget isn’t one of them. In a rational world, what you produce is a more important question than productivity. Any theory that makes you say things like that is silly, and any figures that lead to such conclusions are mischievous. Productivity, at least as everyone measures it, is a grievously misleading notion. If you take it seriously, you believe that clean air and water and increased safety are bad and should be opposed. You believe, too, that employing young people and women and blacks and others without experience is bad, and that therefore an unemployment rate of 8 per cent is not merely acceptable but desirable. IT MAY OCCUR to you to wonder why the denominator of the productivity ratio is “hours worked.” Why not “workers’ compensation?” Then at least you wouldn’t have silly results like our journeyman-apprentice example or the all-too-real unemployment problem. Then you wouldn’t have to pretend, as the Times does, that management has been wasting its valuable time on the environment. You would, however, be in danger of calling attention to one of the hidden aspects of the scam – that is, the place of management, especially top management, in the whole picture. For the chief executive officer of a company is a wage slave just like the operator of the widget machine. As long as you focus on hours worked, you meld his allegedly productive hours with the less valuable hours of the operator, thereby improving the index and demonstrating your scientific willingness to put the faltering American workingman in as favorable a light as possible. You also diminish the risk of having someone point out that CEOs are often paid five or six thousand times as much as widget machine operators (I’ll say more about this in another column). Or of someone separating management productivity from working-stiff productivity and introducing a brand new ball game: It would no longer seem that the Japanese are catching up with us because their production workers are workaholics, while ours are goof-offs; the catching up, if any, would appear to be due to the fact that they have fewer managers, who have fewer Lear jets, stretch limousines, three-martini lunches, tax shelters, and golden parachutes. The scam has yet another aspect. Labor may be the largest factor of production, but looking back on the others the Times mentioned (“the machines that are used, the worker’s education and skill, advances in technology, the working environment”), you will note that the first and last of these are supplied by capital, the second is largely the responsibility of the state, and the third is a joint activity of capital and the state. A capital productivity index would be at least as reasonable, therefore, as a labor productivity index. The numbers would not be markedly different, but they’d have a vastly different meaning. You can carry this a step further. For although productive capital is not money, it is bought with money, and money has a cost, namely interest. The prime rate has gone from 1.5 per cent (really and truly) in 1947 to 12.5 per cent today, having had flings as high as 21.5 per cent along the way. In other words, with every dollar American industry now pays (actually, or as opportunity cost) for interest, it is able to buy only one eighth as much of capital goods as it could have at the end of World War II (and this is without counting inflation). There is the real drag on the American economy, and on the world economy. As I said at the beginning, the uproar about labor productivity is a scam to distract attention from a massive shift in the distribution of the goods of the economy. The share of nonmanagerial labor is being reduced; the share of managerial labor is being increased; and the share of those who do no labor, who merely have money, is being increased most of all. This is what Reaganomics. (or, if you will, Volckerism) is about, and the Atari Democrats have been gulled into going along with it. ON NEW YEAR’S DAY I made my annual start at cleaning up my desk, and first off I threw out a big pile of clippings. They all had to do with predictions about the economy. I didn’t actually weigh them, but as I riffled through them I could see that they would assay very high in optimistic words of politicians anxious for my vote and brokers eager for my money. 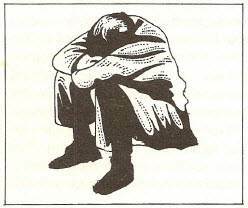 I also thought of explaining how to tell this depression from the great one of 1929. Fifty years ago Secretary of the Treasury Andrew Mellon (touted as the best since Alexander Hamilton) kept prophesying that the economy was about to turn the corner. His present day successor keeps telling us it is about to bottom out. The plane of the economy seems to have rotated 90 degrees, not necessarily in a better direction. But the state of the economy is not funny, and the performance of our leaders is not funny, and I have been wondering why our politicians and our economists (most of whom surely are decent men) have been so steadily wrong. Certainly they haven’t intended to be wrong. Although they are perhaps not above a willingness to mislead us a teeny bit, they would undoubtedly be suffused with sincere delight if their predictions should come true and bring us all comfort and joy. A string of recent predictions offers a clue. I’ll not single out any particular one, for there are a great many, and they all take this form: The long-awaited recovery will start some time in 1983, but unemployment will continue to rise and will persist in the double-digit range at least well into 1984. 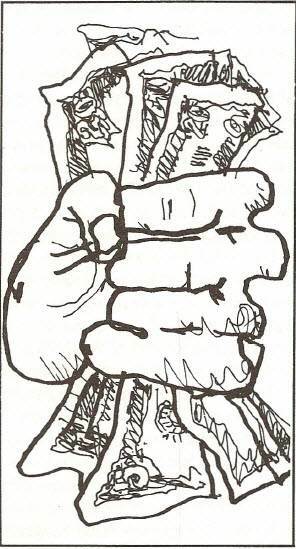 I find two elements of the form arresting. The first is the phrase “long-awaited recovery.” Sometimes it is “long-expected recovery.” Either way it suggests nothing so much as the South Seas cargo cults that employ ritual incantations intended to bring a heavily laden ship over the horizon to satisfy all their members’ wants. It is magic; and aside from the incantations, it is passive. Nobody has to do anything-there is nothing for anybody to do-to bring about the desired result. Passivity is a renunciation of responsibility, that is, of freedom; and it is now common in our high places. The second striking feature of the predictions is the universality of the expectation that even when the magic ship Recovery is unloaded to widespread rejoicing, there will be 10 or possibly more millions of men and women left empty handed and unemployed on the beach. What on earth are our prophets thinking of? Please understand that I am not questioning the accuracy of what is being said. Indeed, I think it altogether probable that the next two years will see a modest advance in the Gross National Product together with an increasing (or, at best, slowly decreasing) rate of unemployment. I think this outcome probable because, as near as I can see, everyone is doing his level best to bring it about. President Reagan will no doubt quarrel with the Jack Kemp Republicans to his Right and the Atari Democrats to his Left, but the quarrels will be mostly over details. There is, I am sadly convinced, little likelihood that any of the parties will do anything to cause the predictions to go awry. The quarrels will be mostly over details because all parties have drifted into the belief that the rate of unemployment is merely one among several “indicators” of the state of the economy. It is, moreover, said to be a “lagging indicator,” by which is meant that we can enjoy something called prosperity at the same time that several millions of our fellow citizens are out of work. You may not be surprised to hear this, for it is part of the conventional wisdom of this wise age. There are other examples of the same sort of wisdom. For a generation now, full employment has been complacently defined as a situation where 4 per cent of those willing and able to work are unemployed. In other words, 96 per cent equals 100 per cent; but I don’t advise you to tell that to your banker when he asks you to satisfy your loan in full. More to the point, 4 per cent of our labor force is close to 5 million men and women. Recently the wisdom favored by the Atari Democrats has inspired what is called a full-employment budget, showing how much money the government would have available if we had full employment. Since unemployment costs the government billions of dollars in benefits paid and taxes not paid, a full employment budget is easier to balance than the one President Reagan has been wrestling with. The catch is that the Atari Democrats’ full-employment budget calls for 6 per cent unemployed. The Republicans, you will be comforted to hear, are more realistic, or say they are. They have noticed that American manufacturing industries are in trouble. They do not talk much about sunset industries, that’s an Atari Democrat metaphor; their metaphor is an old one from physics: frictional unemployment. This is what happens when a steel company decides to abandon its mills instead of updating them, or when it updates them by substituting robots for human beings, or when textile mills leave New England for the Carolinas in search of what local boosters call cheap and contented labor, or when the mills leave the Carolinas for even cheaper and more contented labor in the Orient, or when data processing companies flit hither and thither in pursuit of low rents and lower taxes. People can become unemployed in each of these ways, which are called frictional because, like friction in any machine, they are thought to be an inescapable concomitant of the machine’s functioning. The point about it now is that conservative economists (more in character than “liberals”) say frictional unemployment in our technological age runs at 8 per cent. So, the wise men who think about the problem at all tell us that somewhere between 4 and 8 per cent of us will always be out of work even when the economy is going full speed ahead or full blast or however you want to put it. After you add in the” lagging indicator” factor, you can see that many millions of unemployed will be with us in the midst of what is called prosperity. THE PREDICTION is not, as I have already said, nonsense; the definition or understanding of prosperity is. Carry that a step further: The definition or understanding of economics is nonsense. Almost all textbooks, from Left to Right, say that economics is the science of the efficient allocation of scarce resources, with the goal, explicit or implicit, of increasing the GNP à outrance. It is this pervasive notion that is nonsense. But let’s assume that it’s not. What is the GNP? It is the sum of personal consumption, private domestic investment, government purchases, and net exports. You will note that in order to arrive at that sum we have to talk about prices, not about things. Any schoolboy knows that you can’t add apples and oranges and tons of steel and square miles of computer printouts and calories of three-martini lunches and achieve anything other than mush. The one way we can arrive at the Gross National Product is by adding up the prices paid for all the goods and services. Money is not simply handy for this purpose; it is, as has been recognized at least since Aristotle, the critical element. Only the prices paid count. I may think that my better mousetrap is worth a hundred dollars and refuse to sell for less. If no one is willing to pay the price, my trap is no part of the GNP, except perhaps for the prices I paid for the material and labor that went to make it. A price is not paid in the abstract –buyers and sellers must be involved. And buyers and sellers are people. That may strike you as stupefyingly obvious: surely it goes without saying. Well, it does go without being generally said, with the results that economics is said to be about things, and that an economic system is said to be successful if things proliferate despite the fact that many millions of people are hurting. Otherwise employment could not be thought of as a lagging indicator of a phenomenon called recovery. What I should like to insist as this new year starts is that economics is about people, and is about things only in connection with people. Does this make any difference? It makes several, and I will name one: So-called frictional unemployment is not a heavenly curse but the consequence of our way of doing business, and our way of doing business is promoted by the way our tax laws treat depreciation, interest and local taxes. The fault is not in our stars, nor will it be corrected when our ship comes in. If we acted on the understanding that employment is really what recovery is all about, we would change those tax laws. We are accustomed to hearing that today’s pain is necessary to prevent worse developments tomorrow. We are assured that President Reagan and Federal Reserve Board Chairman Paul Volcker do, too, care about people, but that if the economy is allowed to heat up (the metaphor has shifted to thermodynamics) too rapidly, inflation will start raging again (that’s combustion), and more suffering will be caused than is caused now by staying the course (navigation). The question that pops into my mind is, How do the wise men know that prodding the economy to provide jobs will turn the United States into the second coming of the Weimar Republic? The answer is, They don’t know. But anyone who looks at the record knows that full employment was not one of the things rotten in inter-war Germany. The best that can be said for what now passes as wisdom is that it inflicts present and certain suffering in the hope of warding off future suffering that is only problematic. This is what you do when you have your eye on things rather than people. As Freud told us, the aims of living are loving and working. Economics can’t do much about the former, but the latter is its special domain. If it fails there, it fails altogether. EVER SINCE the elevation of Paul Volcker to its chairmanship three years ago, I have been one of those nattering about the Federal Reserve Board and the interest rate. Our steady cry has been that the Fed’s policy of trying (vainly) to control the money supply would first send the interest rate through the roof and then bring on a depression. Well, they’ve done it, and they’re not altogether pleased with the result. So now they are pawing at the start of the other course and are straining to bring down the interest rate and bring on prosperity. You might expect me to be happy, but I’m not. My considered opinion, in which I’m not alone, is that they’re too late. A moment’s reflection will convince you that this opinion has extraordinary implications. If you say that something is too late, you are saying that chronological time is a factor [see footnote]; and if you say that time is a factor, you are saying that you are dealing with history, not with science. So let’s face it: Economics is historical and ethical; it is not an exercise in algebra or analytic geometry. 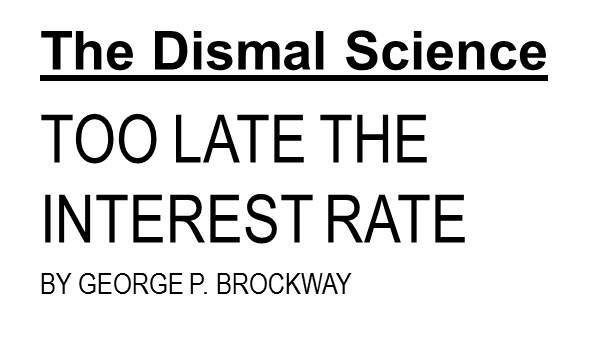 If economics were merely algebraic, and if a high interest rate depressed business (it does), then it would be a simple matter to lower the interest rate and stimulate business. In spite of what commentators say, though, there are no such tradeoffs. It doesn’t work out that way in real life. It won’t work out that way in our life for at least two reasons: (1) Fourteen million of us (including those who have been out so long they’ve given up looking) are now unemployed, and (2) our industrial plant is running at less than 70 per cent of capacity. I remind you, too, that President Hoover was not quite so feckless as his reputation allows. Not quite. To be sure, he did not believe in the dole. But he did come to believe in public works. Under the Federal Employment Stabilization Act of 1931, he drew up a six-year schedule of Federal projects to stimulate business. In a foretaste of the New Federalism, he urged the states and municipalities to expand their public works. And in the Reconstruction Finance Corporation (RFC) he anticipated the sort of industrial stimulation now advocated by those Robert Lekachman calls Atari Democrats. In relation to the GNP as it was then, and as it is now, the RFC was bigger than anything recently proposed. Yet things got steadily worse. The lesson of the experience is that although it is easy to throw people out of work, getting them jobs again is a massive problem. John Maynard Keynes painstakingly explained all this 45 years ago, but many so-called Keynesians have persisted in thinking quick solutions are possible. The underutilization of existing industrial plant should, of course, have warned the supply-siders (are there any left?) that investment was not the immediate difficulty. Why should I invest in a new or expanded plant when I don’t have enough business to keep my present one occupied? The size of this stumbling block is indicated by the fact that, with nearly a third of the nation’s plant idle, the economy would have to increase by almost 50 per cent simply to do what it is currently capable of doing. Consider a company that, before the advent of Volcker’ s form of monetarism, had been accustomed to borrowing $10 million of short-term money. When the prime went to 20 per cent (and higher), its interest costs soared to an unacceptable 2 million. Management did what had to be done: raised prices, abandoned plans for expansion, cut production and inventory, reduced marketing expenses, cracked down on slow accounts, perhaps shifted from FIFO to LIFO accounting, dragged its feet on pay raises-and laid off or fired as many people as it had stomach for. As a result, the company reduced its need for short-term money from $10 million to $2 million, and in the meantime the prime (partly because other companies drastically reduced their borrowing as well) went from more than 20 per cent to less than 12 per cent. Thus the firm’s interest costs fell from $2 million to $240,000 – and it survived. A further fall in interest rates from 12 per cent to 10 per cent reduces the firm’s costs merely another $40,000, a welcome development but nothing to get excited about – certainly not in the way Wall Street has been excited. Our little scenario has applications right across the economy; and if you try to put yourself in the shoes of the managers of a company that has been through it, you will understand that they feel pretty smug about surviving and are not at all eager to put themselves in jeopardy again, at least not right away, not with the present people in charge of the banking system. The scenario also explains what must otherwise seem a case of levitation: why so many British companies are improving their earnings in the face of the ravaging of their economy. Since Messrs. Volcker, Ronald Reagan and Donald Regan have learned their lessons at the knee of Prime Minister Margaret Thatcher, we can expect similar occurrences here. KEYNES laid all this out in The General Theory of Employment, Interest, and Money. The great message of that great book was that full employment is the only rational meaning of prosperity, and that it doesn’t just happen. The economists under whom Keynes had studied thought that a recession would lead to lower wages, which would make hiring people more profitable to entrepreneurs, which would bring about full employment again. 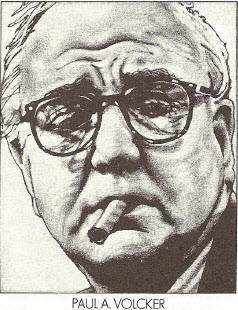 Insofar as Volcker, Reagan and Regan think about people at all, they still think that that’s how it works. But it didn’t work that way in the Great Depression, and it doesn’t work that way now. 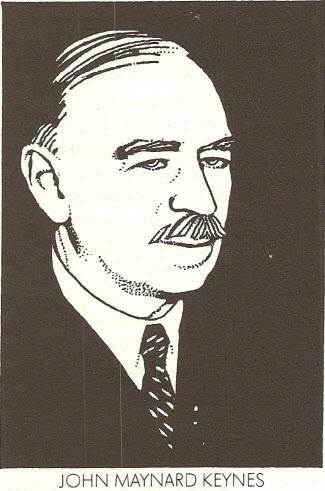 As Keynes showed, “the economic system in which we live … seems capable of remaining in a chronic condition of sub-normal activity for a considerable period without any marked tendency either towards recovery or towards complete collapse.” It is, in short, perfectly possible for the economy to crawl indefinitely with (to choose some figures at random) more than 10 per cent of the labor force unemployed and more than 30 per cent of the industrial capacity unused. It is possible, too, that the modest proposals the Atari Democrats have advanced might in time knock as much as a third out of those figures and achieve a modest jog-trot at the lower level. That would be better, but it’s not great, and it is probably the best that can be done by indirect methods in the foreseeable future. By indirect methods I mean schemes to diddle the taxes in order to promote savings or investment or international trade or sunrise industries or the like. I especially mean schemes to control inflation by keeping the economy cool. By direct methods I would mean those designed to do something for people. I don’t mind if you call me a populist. I hold that our greatest national sins are the unconscionable spreads we allow in incomes and in wealth. We have deliberately’ first under Richard Nixon and at present under Reagan, increased those spreads by the maxitax on earned income, the maxitax on unearned income, the reduction of the capital gains tax, and the emasculation of gift and inheritance taxes. And we now have before us the disgraceful spectacle of a private committee of so-called investment bankers (who make their fortunes arranging wasteful takeovers) spending heavy dollars to propagandize a cut in Social Security benefits and an increase in Social Security taxes. Until we reverse these trends, the rich will stay as rich as they are, while the poor will grow poorer. If that is not bad enough on its face, no stimulation of the economy could come from consumption. The rich are already consuming as much as they want, and the poor are consuming as much as they can afford. We have surely seen that supply-side stimulation was, as David Stockman admitted, a Trojan Horse to make the rich richer. Even if the motives had been as pure as the driven snow (whose are? ), the supply-side ploy was, as a bush-league politician said, voodoo economics. Simply reversing the errors of the years from Nixon through Reagan, however, will not bring prosperity. Algebraic tradeoffs will at most keep things from getting worse. Nor will the job be done by the tentative public works programs that are being timidly proposed. No, to put 14 million of our fellow citizens to work will require perhaps $100 billion. If we don’t spend $l00 billion to pay our fellow citizens for doing useful work, we’ll have to spend upwards of $30 billion to maintain them in miserable inactivity. Can we find the $70 billion extra we need to do the job? Well, it’s proportionately much less than we accomplished in World War II. So the question is not Can we? but Will we?